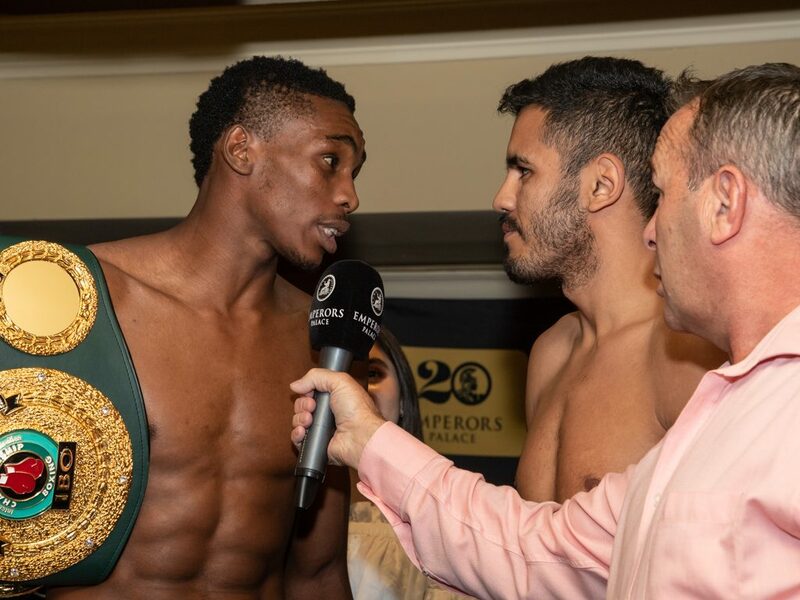 Brian Mitchell has warned Thabiso Mchunu to adapt if he isn’t to face the same result against Tommy Oosthuizen in their rematch at Emperors Palace on Saturday. The decorated former world champion said that if Mchunu doesn’t apply more pressure and get his work rate up, it will be Groundhog Day for the squat southpaw. Mitchell added that the cruiserweight division is very active with Oleksandr Usyk, the unified champion, arguably the number one pound-for-pound fighter. “It’s a big world out there for the winner. There’s a lot to fight for, maybe even Kevin Lerena for the winner. The loser might have to get a day job,” he quipped. Looking over the rest of the bill, he expects Thulani Mbenge to be in his toughest fight as he defends his IBO welterweight belt for the first time against Miguel Vasquez. The Hall of Famer predicted that the SA middleweight title bout between champion Wade Groth and Walter Dlamini could steal the show. Mitchell trains with Dlamini at Nick Ness’s gym most mornings and has seen first-hand how hard the challenger is working. Excited by the talent on hand for 2019, Mitchell also flagged the claims of Ricardo Malajika and Keaton Gomes who will be out to boost their burgeoning careers on what is an excellent event to see out 2018.